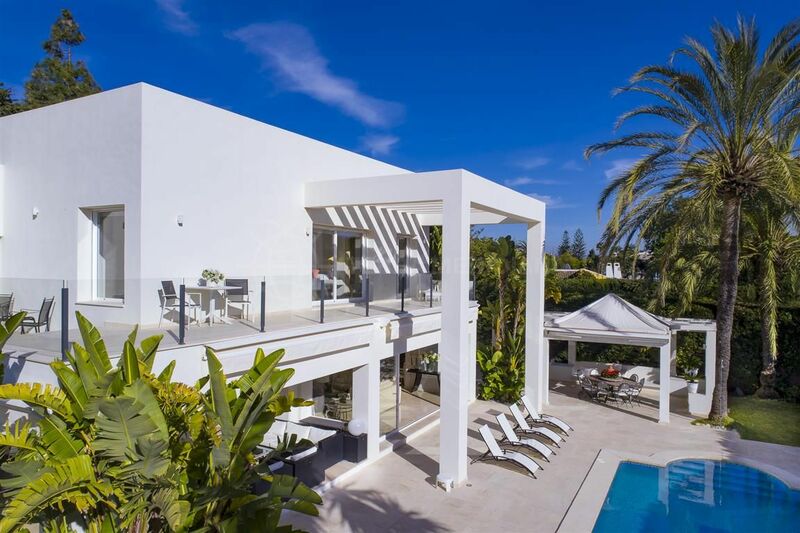 Located just 300 metres from the beach, this extraordinary villa sits on a double plot and boasts perfectly balanced proportions and decidedly modern Mediterranean architecture. 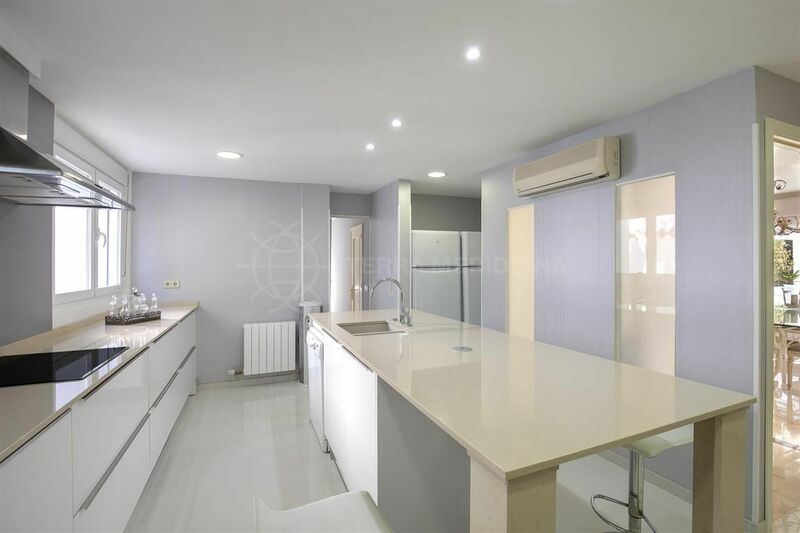 Striking a natural fusion between minimalist design and new school cool the home features the highest quality finishes throughout. 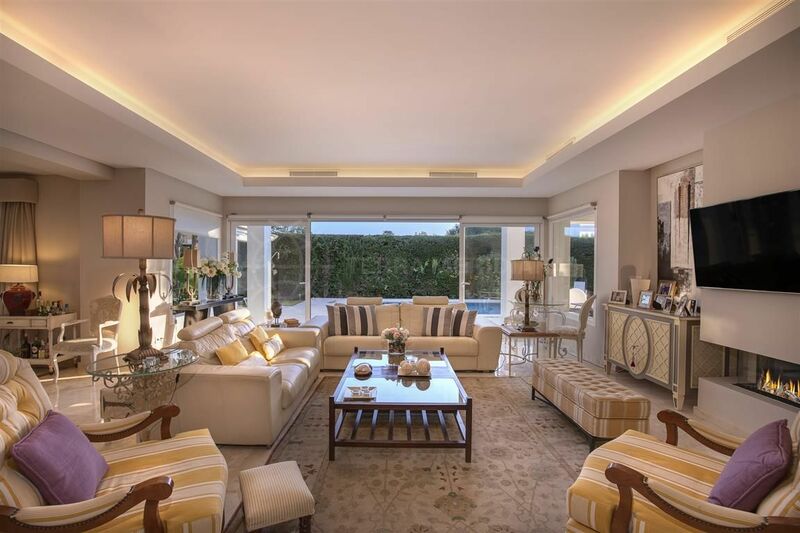 The main level comprises an entrance, a light-infused living room with fireplace and glass doors opening onto the covered terrace, an ample dining room, kitchen with breakfast bar and several storage spaces. 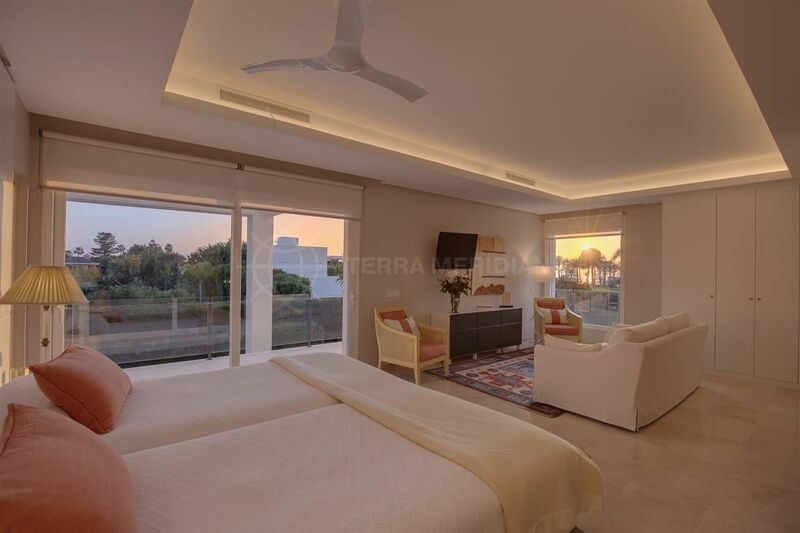 The first floor is comprised of 3 generous suites with sea views. 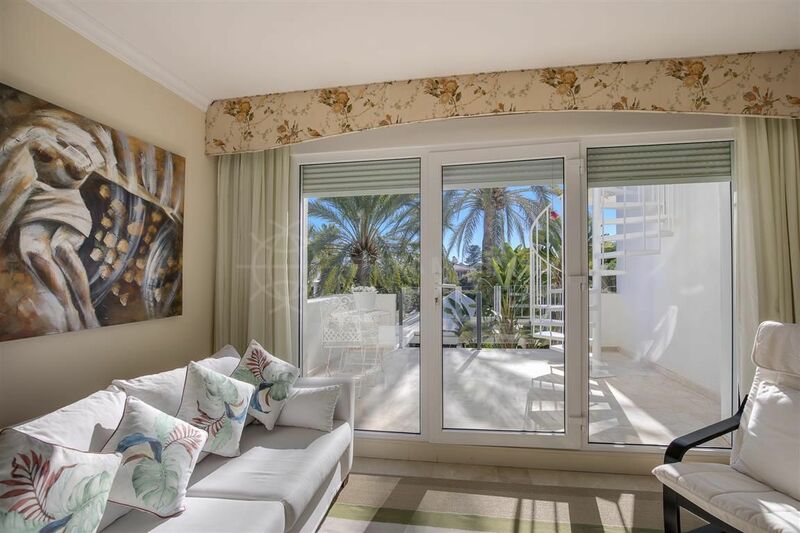 The perfect layout of the property also includes a barbeque area, solarium, 2 car garage and a separate service apartment with living room, kitchen, bedroom and bathroom. 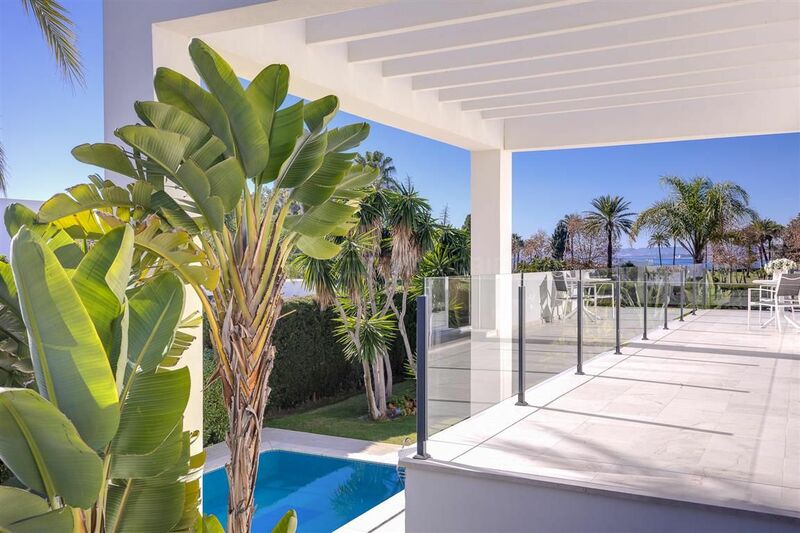 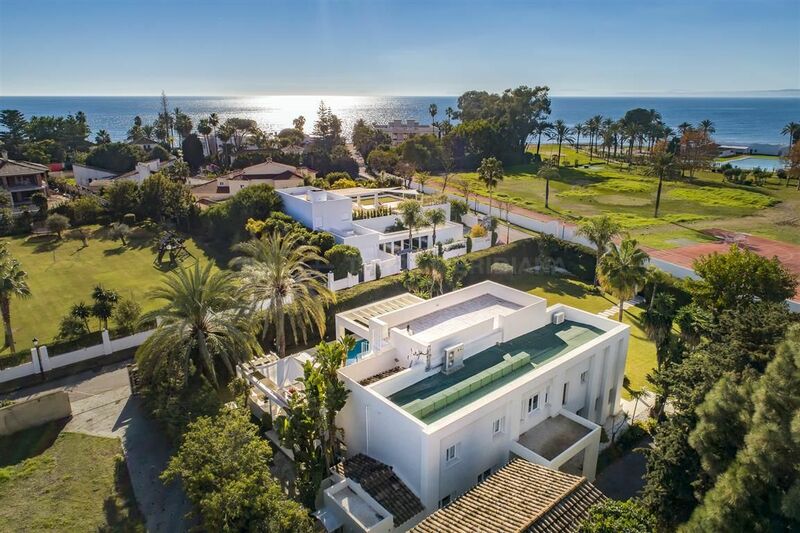 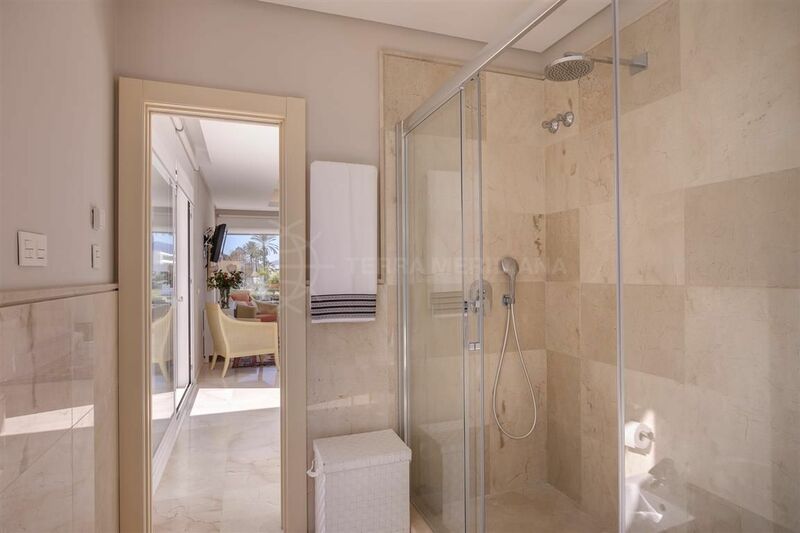 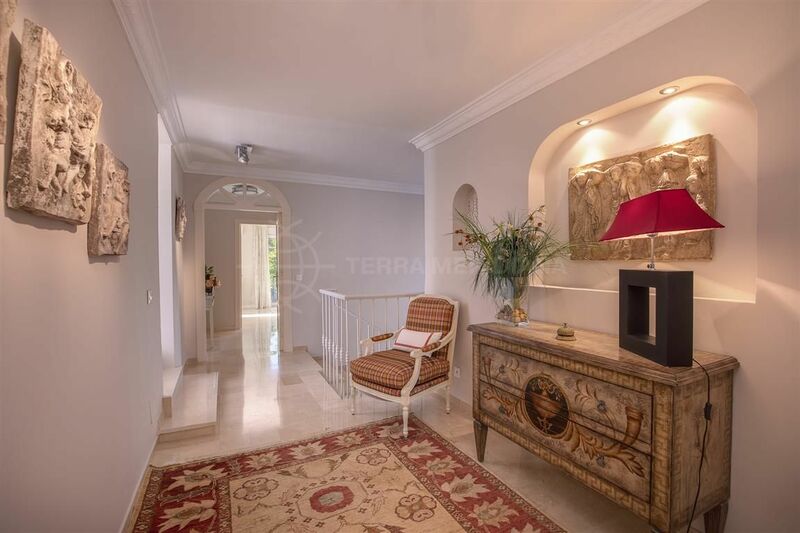 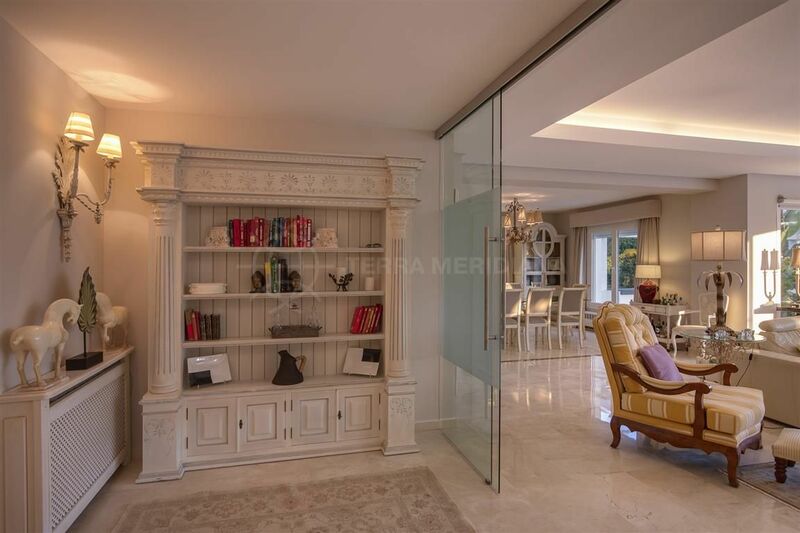 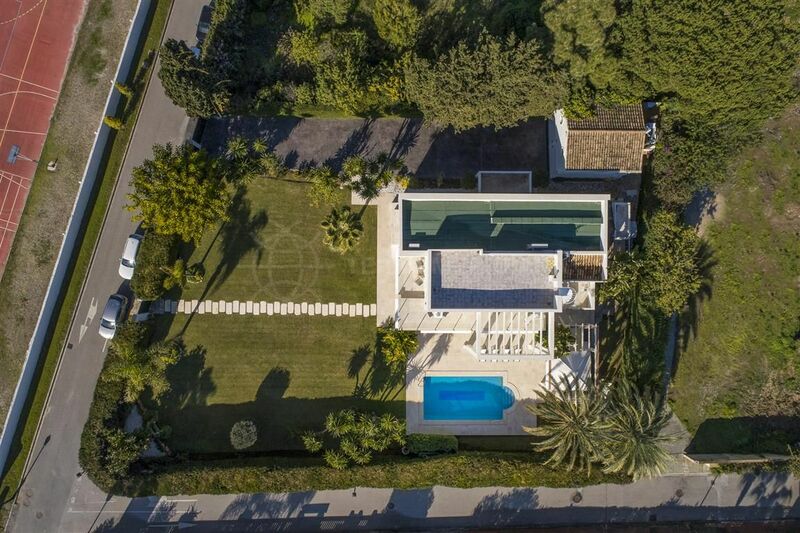 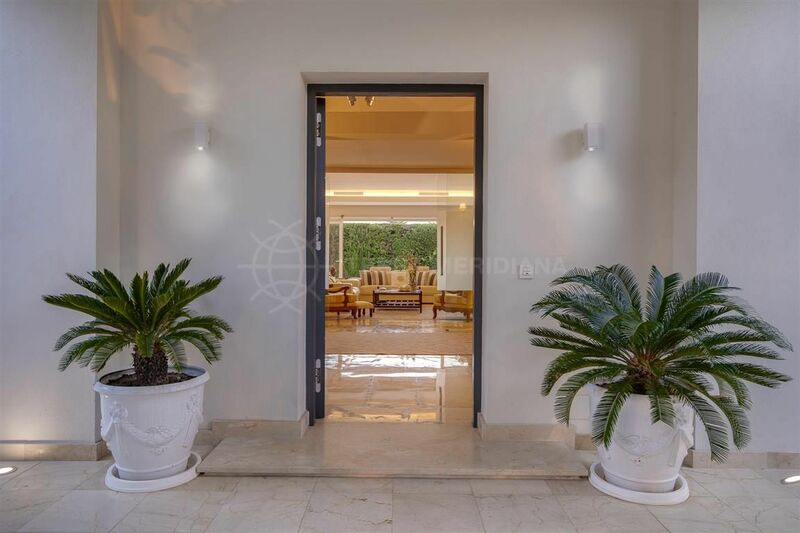 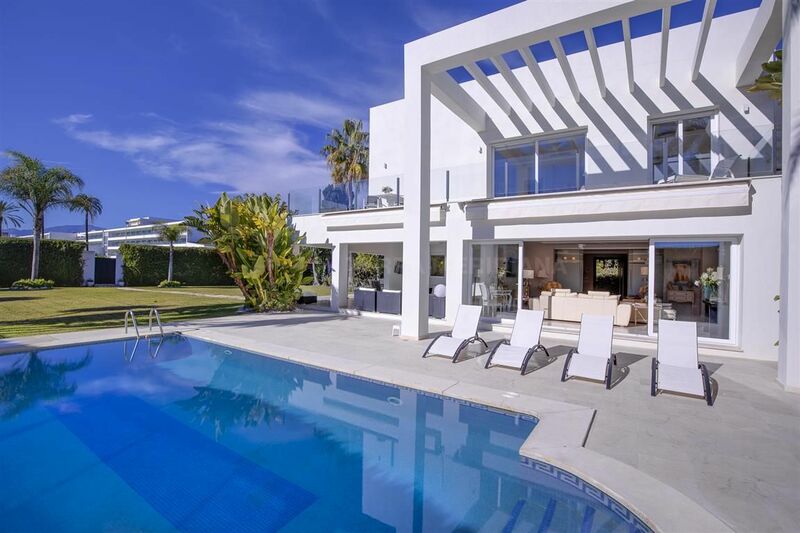 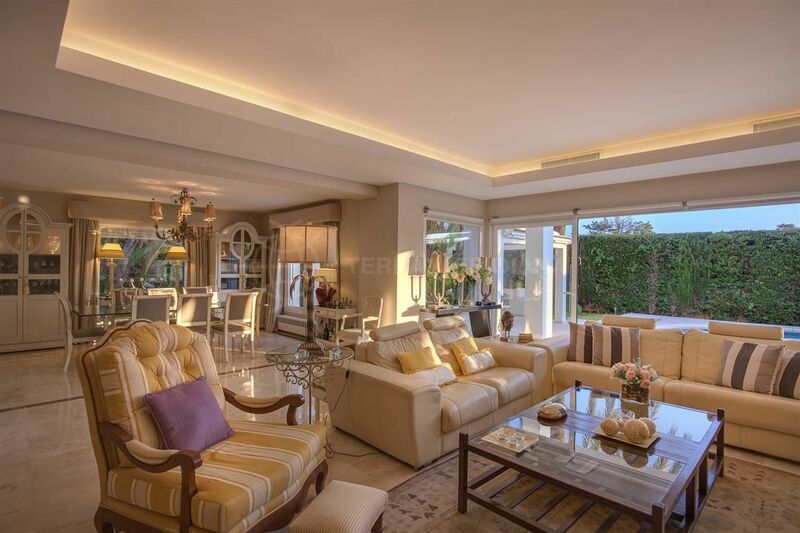 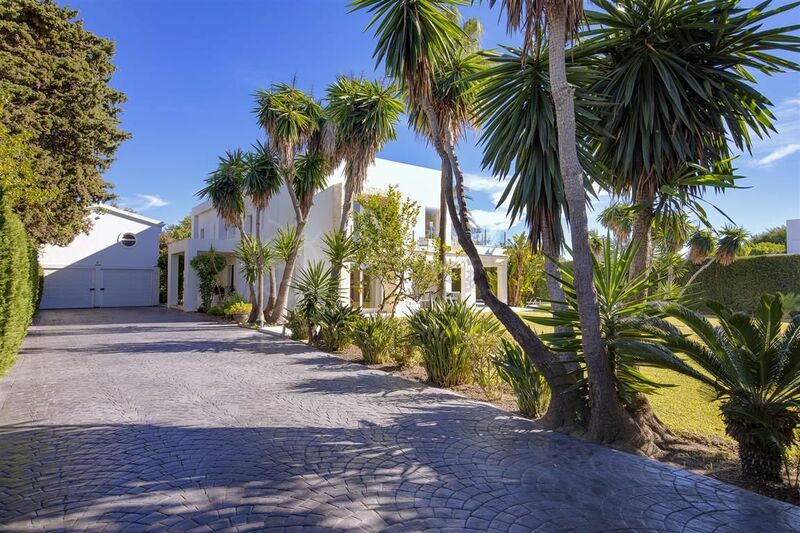 Guadalmina Baja – Casasola is an ultra-exclusive peaceful residential neighbourhood halfway between Marbella and Estepona and close to the golf courses of Guadalmina, Atalaya and El Paraiso. 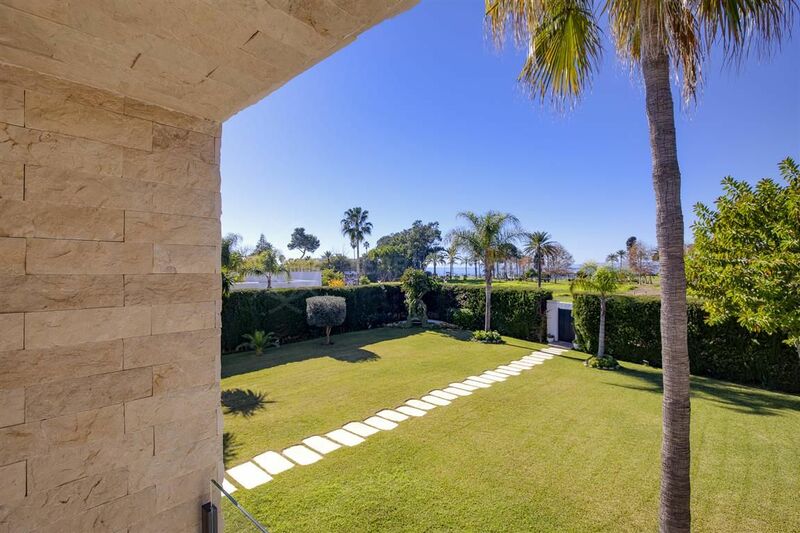 Near the Guadalmina shopping centre and its array of international restaurants, cafes, delis, banks and supermarket. 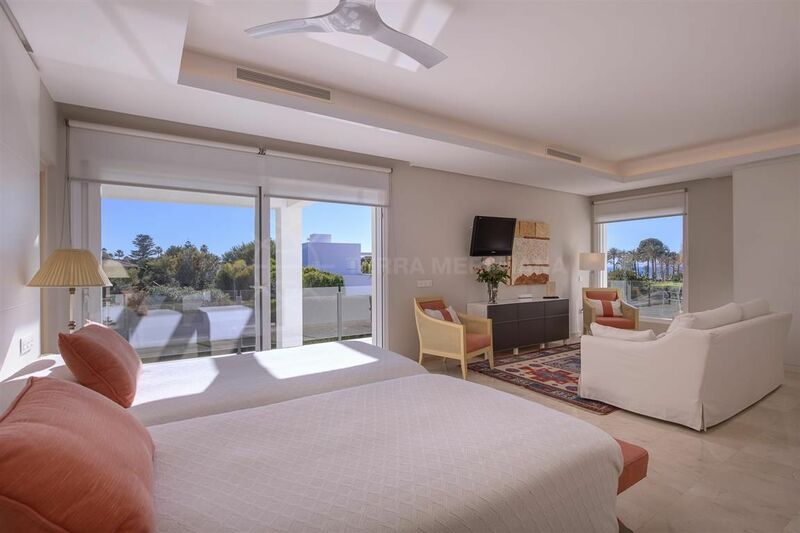 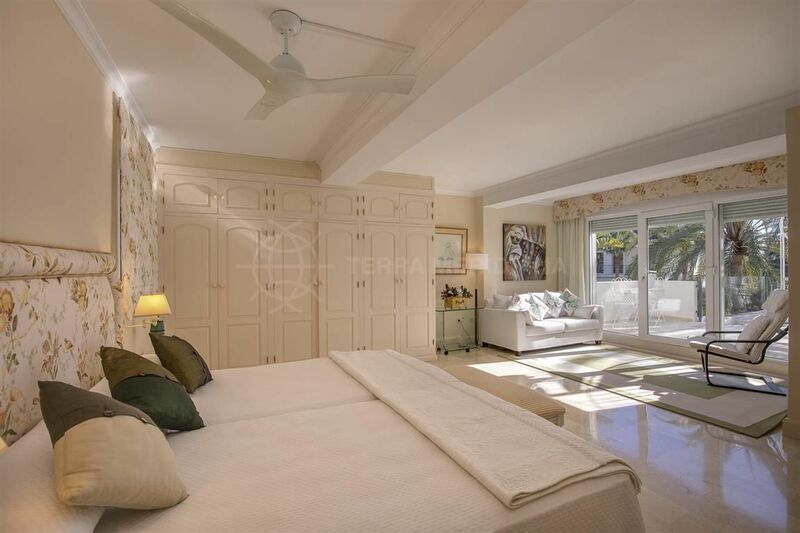 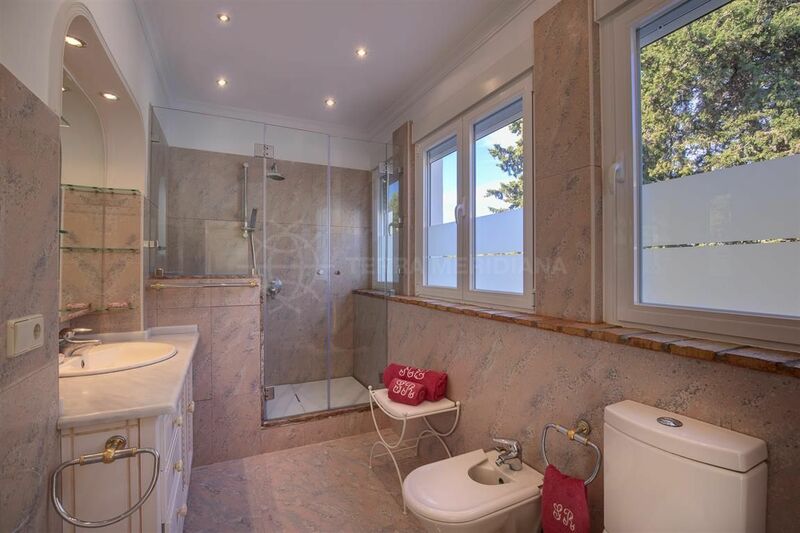 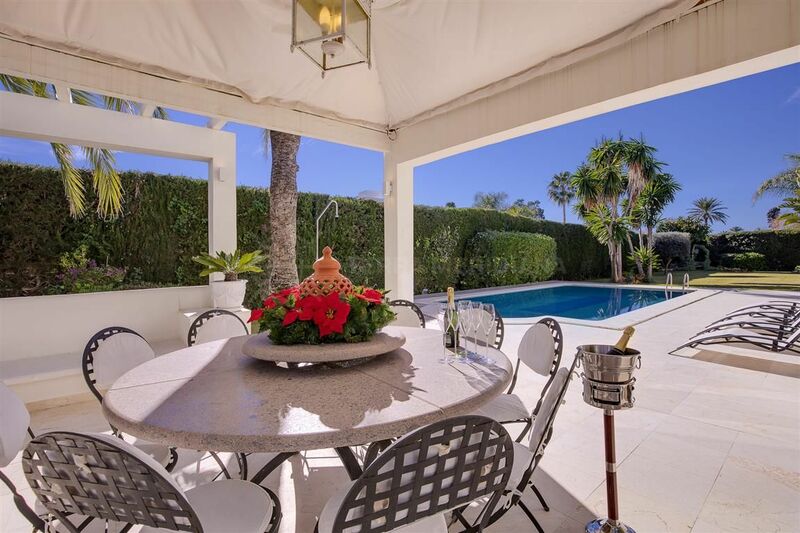 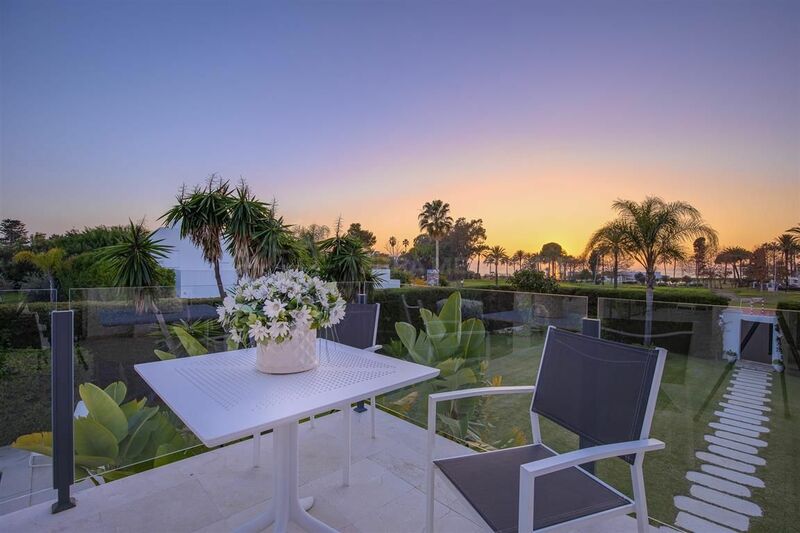 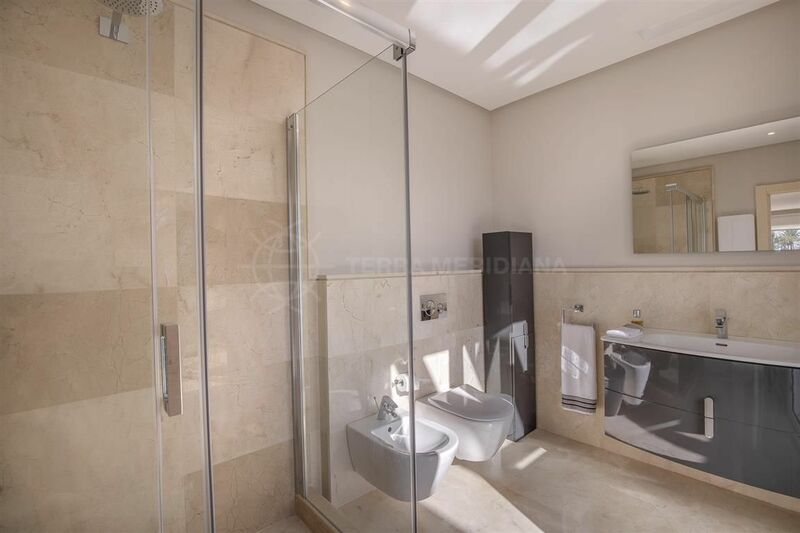 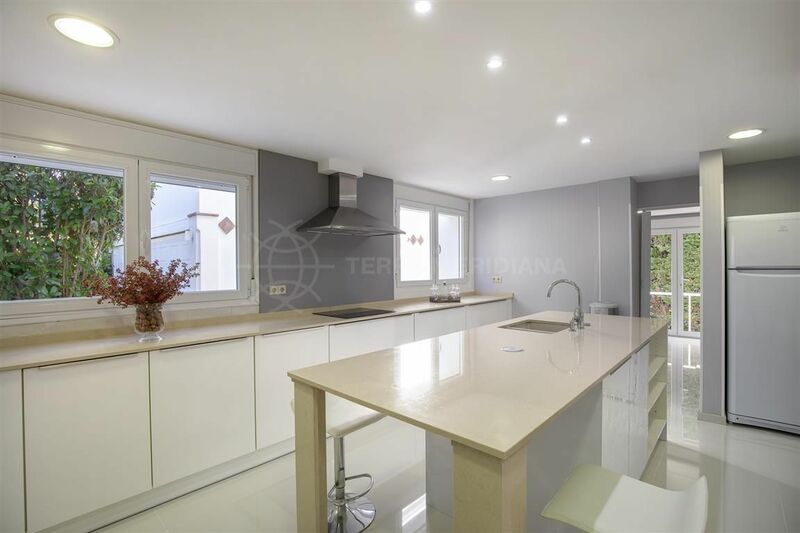 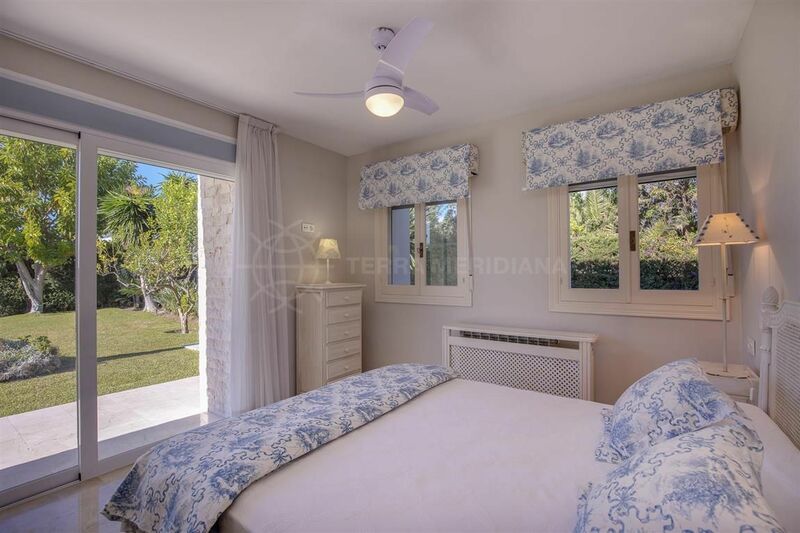 Approximately 5 minutes from Puerto Banus and all its amenities which include El Corte Inglés department store and a cinema and close to several private bilingual schools. 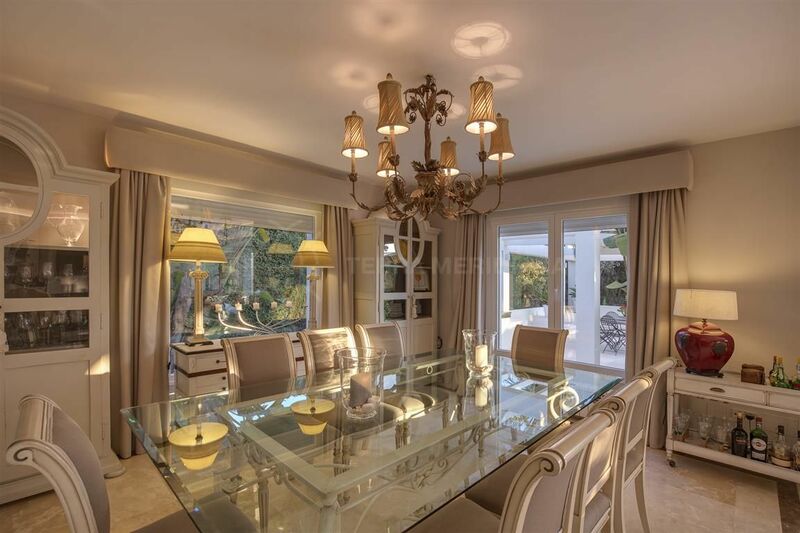 "An elegant home presenting the ultimate in luxury and comfort. " 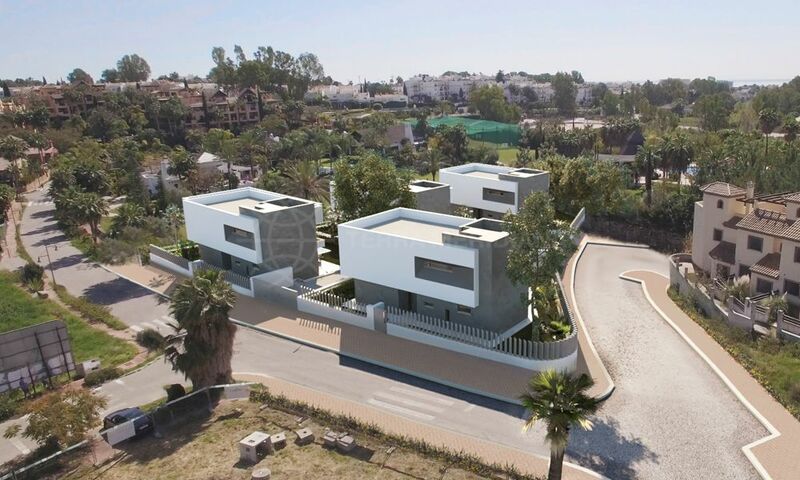 Please, send me more information about ref TMXV1020, Villa in Casasola, Estepona or similar properties.